As executive director, Carolyn Sweetapple, PhD, RN, CPA, oversees the day-to-day operations and strategic plans for Zucker Hillside Hospital and South Oaks Hospital, a 197-bed inpatient behavioral health hospital that specializes in child, adolescent, adult and senior psychiatry. The facility in Amityville, NY, also provides inpatient, medically supervised substance use detoxification and rehabilitation. Prior to Zucker Hillside and South Oaks, Dr. Sweetapple assumed several leadership roles throughout Northwell Health, including deputy executive director of Manhattan Eye, Ear and Throat Hospital, assistant vice president of operations in Northwell’s Project Management Office and vice president of finance and business operations in the Krasnoff Quality Management Institute. Dr. Sweetapple, a registered nurse who specializes in cardiovascular surgery and orthopedics, began her career working in a medical-surgical unit at North Shore University Hospital. She later served as chief nurse executive at Brookhaven Memorial Hospital Medical Center, where she led inpatient care and operations. Dr. Sweetapple is a certified public accountant and held finance and operations positions at Brookhaven, NYU Winthrop Hospital and Southside Hospital. 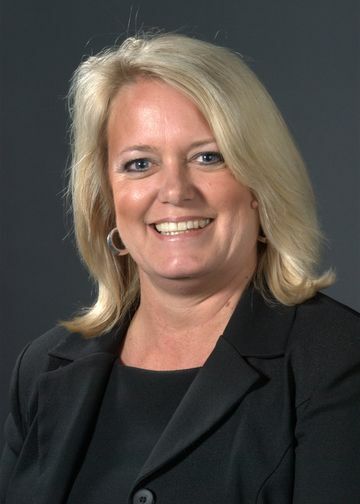 A member of the Society for Industrial and Organizational Psychology and the Healthcare Financial Management Association, Dr. Sweetapple is an adjunct professor in Molloy College’s in the MBA in Healthcare Administration program. Dr. Sweetapple holds an associate degree in nursing from Farmingdale State College, as well as a bachelor’s in accounting and an MBA in Quality Management from Hofstra University. She received a PhD in Applied Organizational Psychology from Hofstra in 2015 and has a certificate as a Six Sigma Master Black Belt from General Electric Corp. and a certificate in Project Management from Harvard School of Public Health.